Lake Stephens, comprising more than 2,300 acres, has been developed around the site of an old camp established by hunters and trappers in about 1792, at the instance of Stephen English, from whom it takes its name. Animal pelts and ginseng taken from the area were transported to Baltimore, Maryland, from where much of the merchandise was shipped to Europe. Tradition has it that many of the bearskins eventually were made into greatcoats for Napoleon’s soldiers to wear in his campaign against the Russians. Lake Stephens is a 2300-acre county park with a 272-acre pristine mountain lake and 1900 acres of hardwood forest. Lake Stephens had its beginning in 1959 with the acquisition of 2,300 acres of land and the construction of the dam. In 1963 the dam was completed and construction was started on roads, parking areas, beach, picnic area, boat dock, travel trailer parks, family camping area and recreational buildings, and with the completion of these projects Lake Stephens was opened to the public in 1966. Over the many years the park has maintained its board and batten rustic contemporary charm utilizing the native field stone. With all of the updated conveniences, it’s a great place for relaxing and enjoying the great outdoors. In addition to the park itself, Beckley and the surrounding area offer numerous cultural and recreational opportunities. The park is open May 1st to September 30th offering recreational opportunities such as hiking, camping, fishing, boating, and access to local attractions and events. 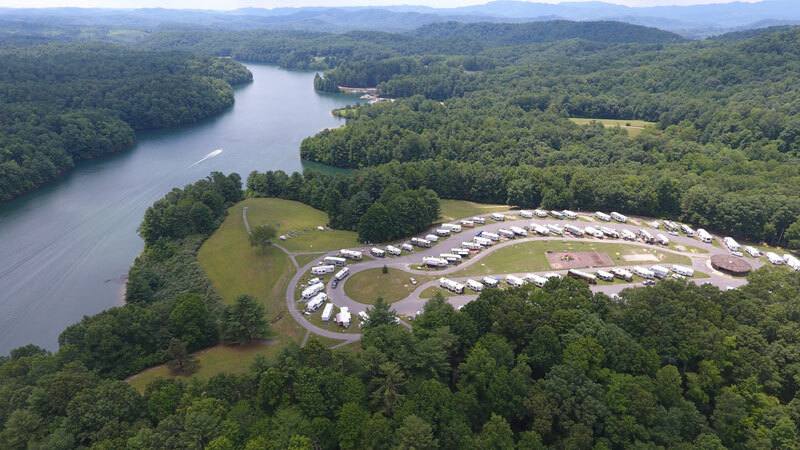 Nine miles west of Beckley, in Raleigh County West Virginia, and twenty-five minutes from the New River Gorge National Park, makes the park a great place to camp in an RV or tent and enjoy the culture and natural resources of the area.